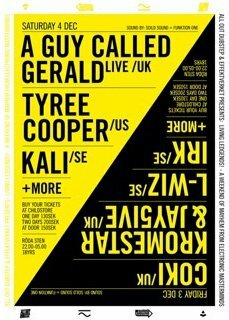 Just confirmed that A Guy Called Gerald & Tyree Cooper will be playing at Röda Sten,Gothenburg. The event is called Living Legends, easy to understand why when two of the pioneers of the acid house scene team up for a unique night in Sweden. WMWL is happy to see this happen, and would like to thank Megan Mann @ All is Rythm for great cooperation as allways!